Jatiya Oikya Front on Sunday took out a colourful rally in the city, marking the 48th Victory Day. 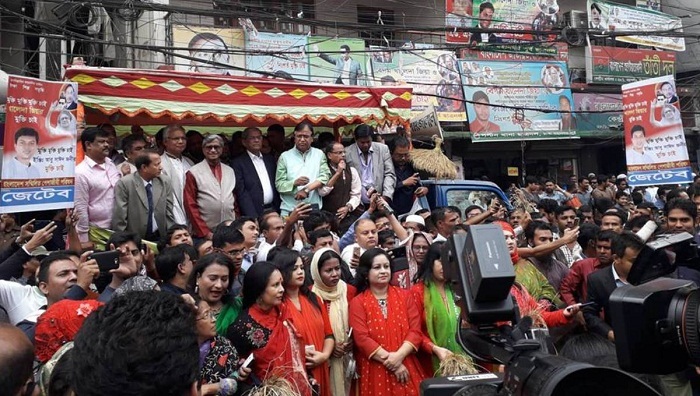 The rally turned into an ‘election campaign’ as the supporters of different Oikya Front candidates took part in it carrying their posters, banners, portraits and the election symbol ‘Sheaf of Paddy’. The Gano Forum leader urged the country’s voters to go to polling stations on December 30 and ensure the victory of the Oikya Front by casting their votes for the ‘Sheaf of Paddy’.